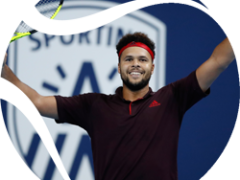 Second seed Jo-Wilfried Tsonga, who is bidding to capture his 16th ATP World Tour title this week, moved into his eighth quarter-final (or better) this year by beating fellow Frenchman and qualifier Kenny De Schepper 6-4, 6-3 in 88 minutes at the European Open. Tsonga, who is 30-13 on the season, will next face another compatriot, 35-year-old Julien Benneteau. Tsonga has already lifted silverware in 2017 at the ABM AMRO World Tennis Tournament in Rotterdam (d. Goffin), the Open 13 in Marseille (d. Pouille) and the Open Parc Auvergne-Rhône-Alpes Lyon in Lyon (d. Berdych). 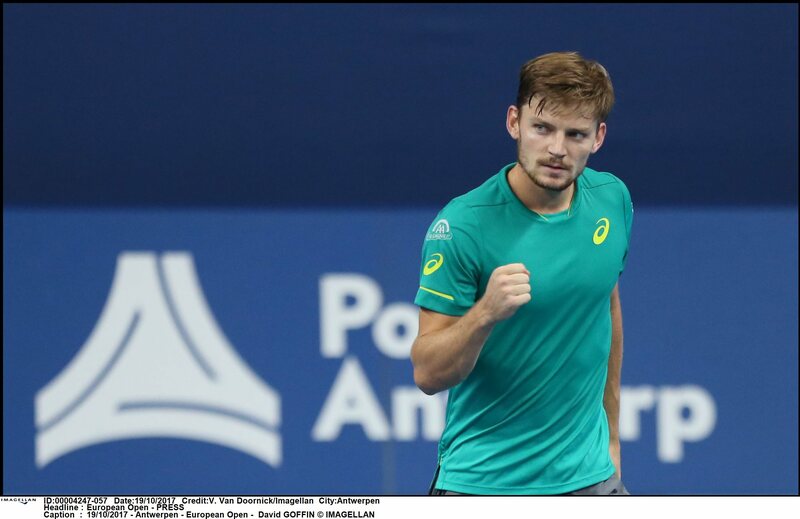 David Goffin maintained his good form, also advancing to the quarter-finals with a 7-6(1), 6-2 win against #NextGenATP Frances Tiafoe. 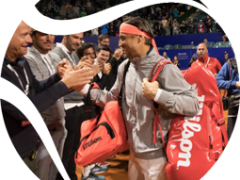 The Belgian, who won back-to-back titles at the Shenzhen Open and the Rakuten Japan Open Tennis Championships 2017, is in the No. 8 slot in the Emirates ATP Race To London with 2,750 points. He seeks his second appearance at The O2 in London after appearing last year as an alternate, playing Novak Djokovic. Goffin was broken in just his second service game of the match, but managed to retrieve it immediately. He then staved off four Tiafoe break opportunities later in the set before surging to a 6/0 lead in the tie-break, an advantage he did not relinquish. The 26 year old lost just three points on serve in the second set, winning double the number of points. The Belgian stalled Tiafoe’s bid in the Emirates ATP Race To Milan. The American is No. 9 in the race with 662 points, currently 110 points behind Daniil Medvedev, who won on Thursday in Moscow to jump into seventh, the final automatic qualifying spot. 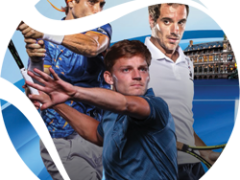 One player who also bolstered his chances in the same Race in Antwerp was Goffin’s next opponent, #NextGenATP and Greek qualifier Stefanos Tsitsipas, who booked a spot in his first ATP World Tour quarter-final on Thursday when leading Ivo Karlovic of Croatia 7-6(4), 5-6. Karlovic retired after injuring his left ankle while serving. Fourth seed and last year’s finalist Diego Schwartzman needed one hour and 41 minutes to beat #NextGenATP American Ernesto Escobedo 6-3, 7-6(5) for a place in the quarter-finals against fifth-seeded Spaniard David Ferrer, who beat Steve Darcis, 7-5, 5-7, 6-3.